The international dairy and dairy exhibition – Vietnam Dairy has just taken on 31 May 2017 – 03 June 2017, at the Hanoi Friendship Cultural Palace. 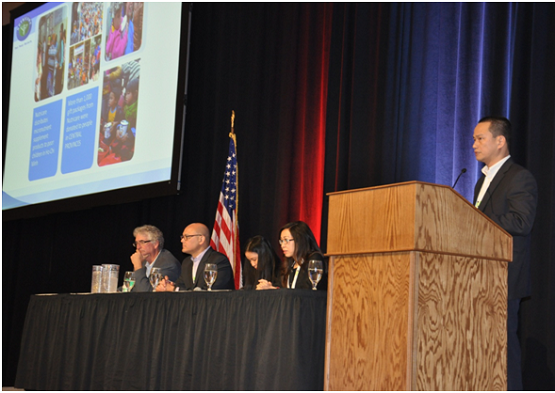 This is a large-scale event of the Dairy Industry, supported and sponsored by the Ministry of Industry and Trade, Ministry of Health, Ministry of Agriculture and Rural Development, Vietnam Chamber of Commerce and Industry (VCCI) and Departments concerned, Vietnam Dairy Association (VDA). This exhibition is especially important as it is the first international exhibition on milk and dairy products held in Vietnam. At the same time, the event takes place on the occasion of the world anniversary of two major events that are the International Children’s Day – 1 June and World Milk Day – 1 June. 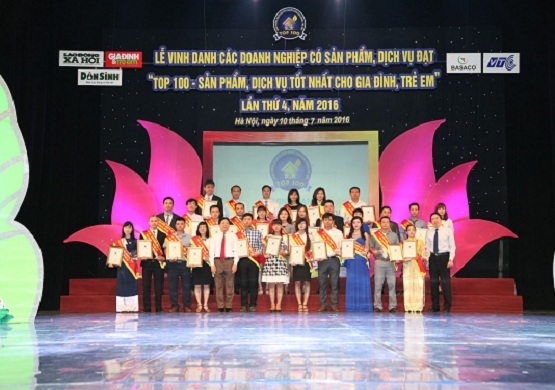 Therefore, the event has attracted thousands of visitors from provinces, cities, students of universities with training in food technology such as Hanoi University of Science and Technology, Vietnam National University of Agriculture… and a large number of people in need of milk and dairy products in Vietnam. 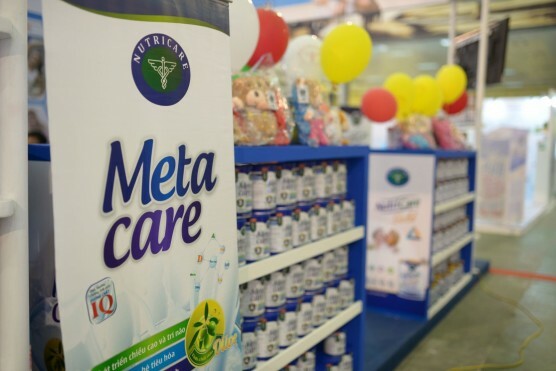 Participating in the exhibition as a co-sponsor of the event, Nutricare Nutrition Company Limited is happy to contribute to promote the image and brand of Vietnamese milk to consumers in the country as well as international friends. thousands of gifts as well as thousands of trial sample products for consumers to have a space to experience the product in the best way. 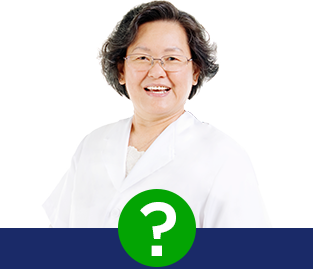 Established by a team of leading nutrition experts trained in the United States and Europe, inheriting the world’s nutritional science background and understanding the unique nutritional needs of the Vietnamese. 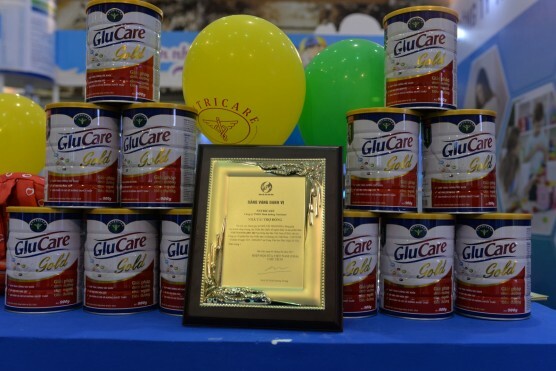 All of NUTRICARE’s products are made from imported materials from USA, EU and Newzeland and produced on the line applying the International Quality Management System ISO 2000: 2005; GMP; HACCP at modern factory in Thuan Thanh Industrial Zone, Bac Ninh. Nutricare Mom – Nutrition for pregnant and breastfeeding mothers. Metacare Olive – Nutrition for comprehensive development enriched with olive oil for babies. Care 100 – Restorative nutrition specifically for anorexia and malnutrition babies. Nutricare Bone – Nutrition for prevention of osteoporosis. Nutricare Gold – Nutrition for health recovery for people during convalescence, elderly people of ill digestion and difficult chewing. Glucare Gold – Medical nutrition for diabetics and prediabetes. Leanmax Hope – Medical nutrition for people under cancer treatment. Leanmax Rena – Medical nutrition for people under kidney treatment. Leanmax Ligos – Medical nutrition for people under treatment of liver diseases. 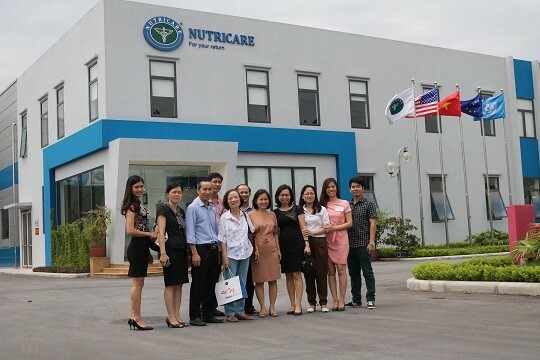 Throughout the process of research, innovation and product development, Nutricare has always provided top nutritional products to Vietnamese people. 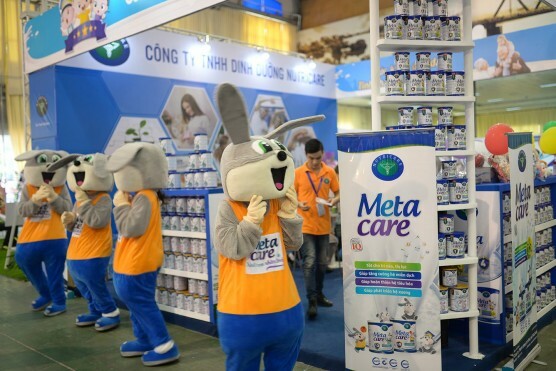 International dairy industry and dairy product exhibition – Vietnam Dairy already comes to an good end, Nutricare would like to send our sincere thanks to all customers and consumers attending the exhibition who believe and support Nutricare’s products.